creativity – Teach. Empower. Transform. 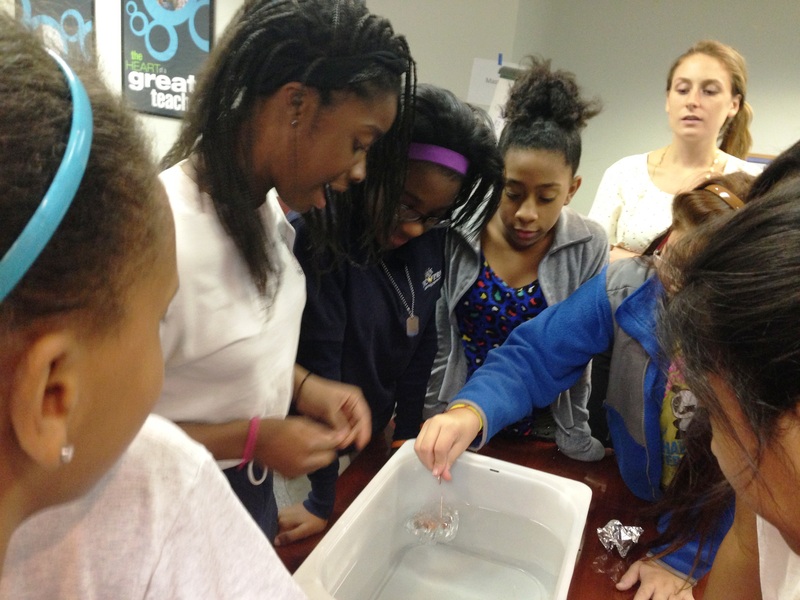 Seventh-grade Scholars work together on a fun activity where they had to design an aluminum foil boat that will hold the most amount of pennies. For Love of Children (FLOC) 7th grade Scholars curriculum focuses on teamwork, goal setting and preparing for the future. This past week our students worked on a team-building icebreaker. Given only a 6” by 6” piece of aluminum foil, the seventh-graders showed off their careful planning and goal setting skills by competing to construct a boat that would hold the largest amount of cents without sinking. While the winners triumphed with a whopping 45 pennies, all of the Scholars worked hard to strategically craft their boats with creativity and enthusiasm. (Celestina Lee is a Scholars Program Instructor at FLOC).